Government Regulation Category Archives — Titles and Deeds Published by Titles and Deeds Attorneys — Jarod Bona of Bona Law PC. Wildfires are a major concern throughout California. In 2018, multiple major fires burned nearly two million acres of land, taking more than one hundred lives and causing billions of dollars in damage. The risk to life and property from wildfires is something that no California real estate investor can ignore. Because wildfires are, by definition, large and out-of-control, real estate investors cannot mitigate this risk on an individual basis. Investors can, however, make use of resources from the state and federal government when researching and planning an investment. The term “wildfire” generally refers to any fire that quickly spreads from its point of origin to cover a much larger area. 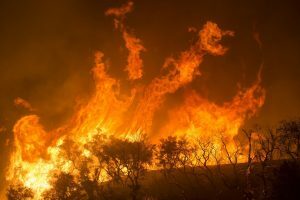 California’s drought conditions have made enormous areas of land highly flammable, and wind can spread fires faster than people can run—or drive—away from them. – It “is burning with such velocity or intensity” that “private persons at the fire scene” would not be able to control it without the assistance of trained firefighters. Zoning is an important part of land use planning in nearly every major city in the United States. Local governments usually have jurisdiction over land use issues. 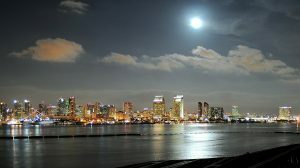 Both the City of San Diego and San Diego County have zoning ordinances and procedures for permitting construction and development in different zones. California real estate investors need to be familiar with local zoning ordinances, as well as the restrictions of land use that go along with them, before committing to an investment. While investors should always keep in mind the adage that “you can’t fight City Hall,” it is possible to challenge or change a zoning designation. In San Diego, this can happen in several ways involving the Planning Commission or the City Council. Litigation may also be a means of modifying zoning designations, although it is rarely a first resort. San Diego real estate investors need to be aware of land use restrictions, such as restrictive covenants included in a deed, or zoning and other restrictions under city or county laws. 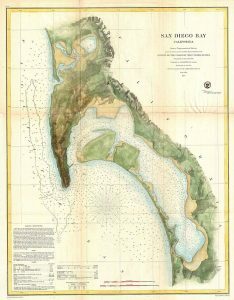 Both the City of San Diego and San Diego County have zoning laws that restrict the use of land within their jurisdiction. We will focus on zoning within the City of San Diego.